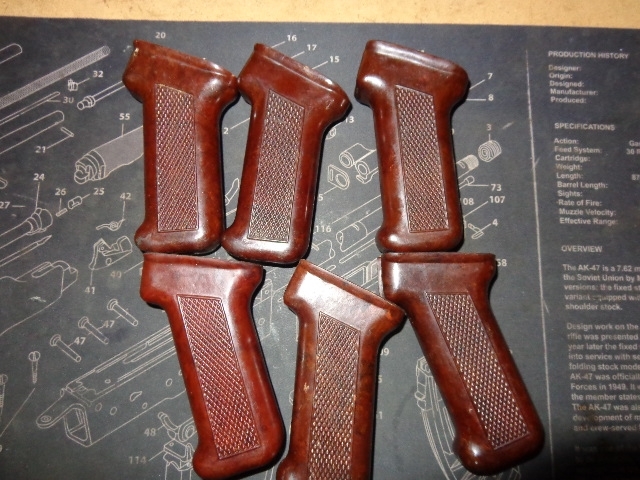 This item consists of one used:Original AKM pistol grip in overall good condition. I do offer hand picking for $5. I grab 10 and pick the one I think looks the best. I have hand picked option best out of 10 for $5. Im selling these pretty darn cheap. So you can buy a bunch keep the best one and sell the rest, or you can get the hand picked option, where I grab 10 look at them and pick the one I think looks the coolest/nicest.